Crossover Health | To sit or not to sit at work? That is the question. To sit or not to sit at work? That is the question. 11 Apr To sit or not to sit at work? That is the question. Lately, we are bombarded with information regarding adverse health effects from a sedentary life. But the studies for standing and sitting can be contradicting. Let me break it down. In recent years, there has been an unprecedented push to castigate sitting as the culprit for a number of adverse health effects, such as increased risk of low back pain, cancers, diabetes and cardiovascular events. The “Take-a-Stand Campaign” champions that all workers should stand for the majority of the time during the workday. But is the act of sitting truly to blame? Sitting is amoral- neither good nor bad – it’s just sitting. The stigma is most likely derived from research demonstrating that prolonged sitting time is positively correlated with risk of low back pain, certain type of cancers, cardiovascular disease, and lower life expectancy. This makes me never, ever want to sit again! However, I wonder, “can one stand too much?” Recent studies have shown that prolonged standing could have issues as well. 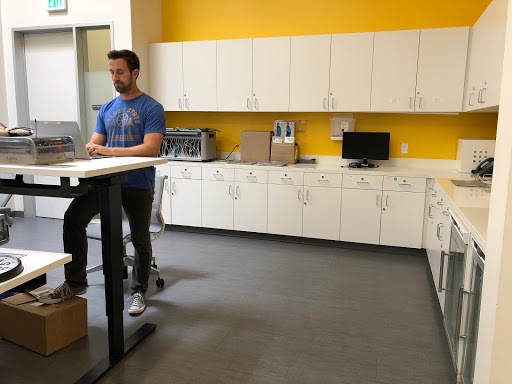 In the Journal of Ergonomics, workers who stood for two continuous hours reported increased body discomfort and decreased cognitive function, along with muscle fatigue, movement, lower limb swelling and mental state. Furthermore, there is an increase in risk of varicose veins with prolonged standing for occupations such as security guards. I can only imagine the venous issues on the Queen’s Guards’ legs at Buckingham Palace! A prolonged time sitting and a prolonged time standing will negatively impact your health. A significant percentage of our work day is spent in a sedentary state, with 76% of workers considered sedentary throughout their working day. With all of our body systems requiring and relying on movement to provide nutrients to organs and muscles, get rid of metabolic waste, lubricate joints, and improve mental health, this number is truly devastating. A sedentary lifestyle and prolonged bouts of uninterrupted stagnation increase risk of all causes of mortality. We are becoming a culture of stagnant workers, and this, I feel, is the most significant culprit in a number of easily preventable health problems. It is interesting to note that those who sit or watch television for a longer period of time increases their cardiometoblic risk independent of their exercise physical activity level. Despite the fact that one may regularly exercise, it is the lack of movement through the duration of the day that increases their risk manifold. Studies show that those who are more active throughout the day, independent of exercise intensity, show lower triglyceride levels, diabetes, metabolic syndrome and waist circumference. Thus, we need to redefine that sitting and standing is not necessarily evil, it is the prolonged duration of it. Furthermore, setting a timer every 45 minutes can help keep you accountable for a much-needed break for your body. It is difficult to implement a habit change, but the results can literally save your life. Getting a complete musculoskeletal assessment with a trained professional will help to know more about your body. About the Author: Eric Lederhaus is a physical therapist at Crossover Health in Silicon Valley. He earned a Doctorate in Physical Therapy and is Board Certified in orthopedics. Eric has had the fortunate opportunity to initiate and lead injury prevention programs for businesses in California, teach conditioning courses at the YMCA, and provide lectures to the community for golf, running, and healthcare management. Eric is an avid surfer, backpacker, and up for any random adventure.